Italy Urges ECB To Extend QE To Protect From "Speculative Attack"
... today the topic of ongoing ECB QE finally came to a fore when the Italian Cabinet Undersecretary Giancarlo Giorgetti - a prominent member of League, the government coalition partner - said he hopes the ECB's quantitative easing program will be extended to "help protect the country from financial speculators." 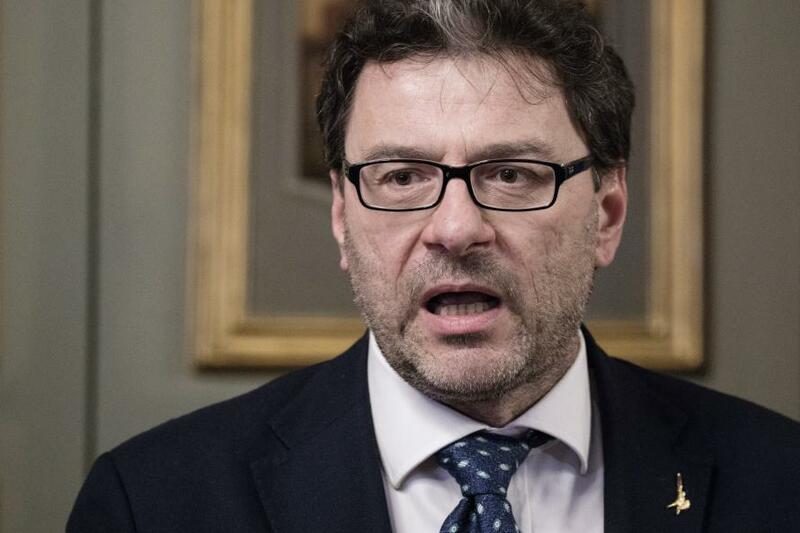 In an interview with newspaper Il Messaggero, Giorgetti said that Italy also needs to be credible to help shield itself especially following the Genoa bridge disaster which may lead to an extra spending request to the European Union, and boost the country's budget deficit, leaving its bond market increasingly exposed. The ECB under President Mario Draghi has "carried out a very important function these last few years," Giorgetti told the newspaper. "I hope that the quantitative easing program will go forward" he said, quoted by Bloomberg. Giorgetti echoed Erdogan, saying that speculative funds are "doing their job" as the ECB winds down QE and said that "it is up to us to be credible and to overcome that speculative instinct." What he meant is that it is up to the ECB to prevent short sellers from sending Italian bonds into a tailspin once the ECB backstop that has been present for the past 4 years finally goes away. The Italian was close to begging when he said he expects the EU to look favorably on government spending to upgrade Italy’s deteriorating infrastructure, while the starting point is for the government to boost next year’s budget deficit to 1.6% to 1.7% of GDP from the 0.8% foreseen by the previous administration. That would mean about 15 billion euros in extra spending. The problem is that by setting up the strawman, Italy's bonds are now going to be truly "attacked" by "speculators" if and when the ECB indeed concludes its QE program, which is set to expire at the end of the year when its government bond holdings reach €2.6 trillion ($3 trillion). 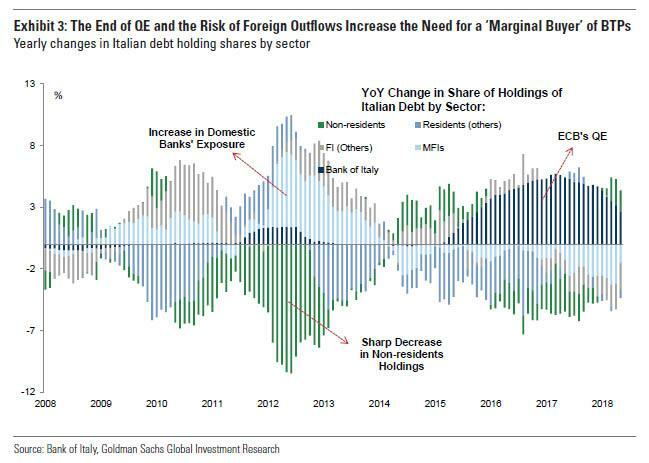 Perversely, Italy's only hope is for the EM contagion to spread and to hit developed markets in general, and Europe in particular, which then forces Mario Draghi to reassess his strategy.